long_descriptionLove a warm, crisp, chewy thin crust pizza with creamy, melty cheese? Just because you're vegan doesn't mean that you can't bake amazing pizzas right in your own oven. 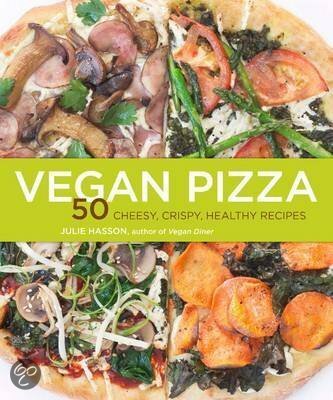 Julie Hasson offers 50 deliciously innovative recipes and simple techniques that will have you making artisan-style, thin crust vegan pizzas right in your own kitchen. Vegan Pizza is filled with 50 modern recipes from easy to make pizza dough (including spelt, whole wheat and gluten-free crusts), creamy dairy-free cheese sauces, vibrant flavoured pestos and spreads, meatless and wheat-less burger crumbles, and inventive toppings. With helpful information and tips on equipment and techniques, Vegan Pizza shares the secrets to fabulous, easy-to-make; dairy-free, meat-free thin crust artisan pizza that tastes like it came from your neighbourhood pizzeria. Now home cooks everywhere can get baking, and make fabulous vegan pizzas in their own kitchens.